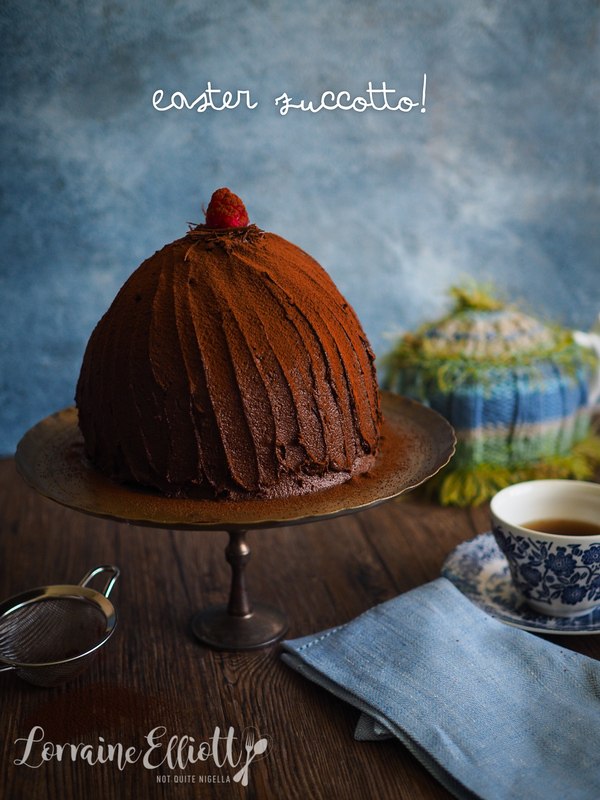 Decadent & Delightful Easter Zuccotto Cake! 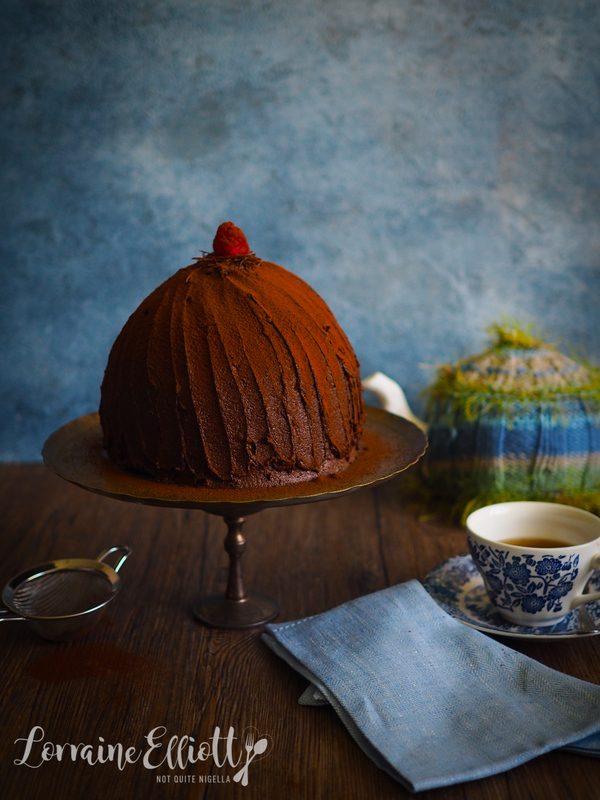 Layers of the softest, buttery brioche style Easter buns from Woolworths, a filling of Nutella and chocolate chip mousse, plus a cover of the richest chocolate frosting? Make Easter special with this wonderful show stopping dessert that is equal parts simple and spectacular (and can be made ahead of time)! Zuccotto is a semi frozen or semi freddo Italian dessert that originates from Florence. 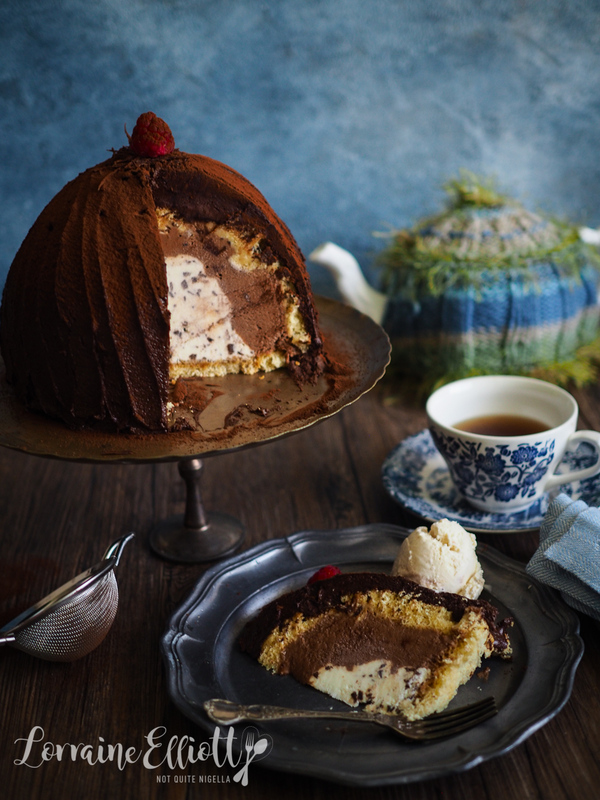 The term "zuccotto" actually means little pumpkin and it takes on an additional tie to Florence in that the finished cake looks like the dome of Florence's Duomo Cathedral. It was invented by Bernardo Buontalenti (who was a stage designer, architect, theatrical designer, military engineer and artist and some say also invented ice cream in Florence) and first served at a banquet held for Caterina de' Medici in the 16th century. Some legends say that it was first made inside a battle helmet. It can be dusted with cocoa but well you know me...I wanted to make it a bit more decadent and more chocolatey because of Easter. 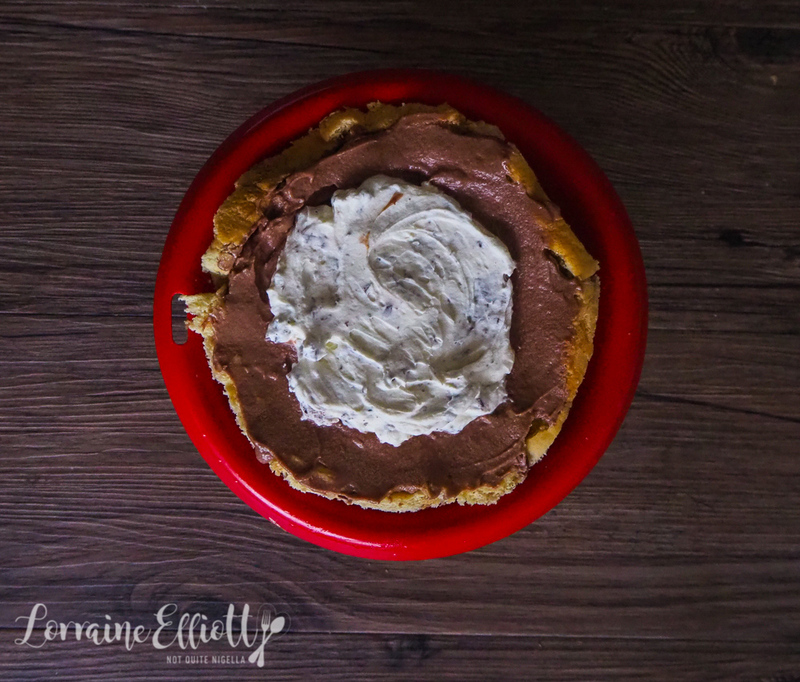 I think of this as a little bit Tiramisu, a little bit Nutella mousse, a bit pannettone and so much deliciousness. It will be the centrepiece at an Easter lunch we are having with friends and best of all is that it is now ensconced in the freezer. The night before I'll take it out to defrost in the fridge and voila, the dessert is done and I haven't torn my hair out trying to get lots of food ready. To make this easier, I made this dessert using Woolworths Brioche Fruit Hot Cross Buns. There are several flavours available: mini choc chip; banana caramel; white chocolate and raspberry; fruitless and gluten free, but I used the brioche style ones for this zuccotto recipe. I know that sometimes people complain when hot cross buns appear on shelves too early, but not me, they're my favourite Easter food (chocolate is available year round thankfully). In fact they reminded me of fresh buttery pannettone so I decided that I was going to try my hand at zuccotto. It was, bizarrely the dessert that I was known for cooking when I was a teenager. I liked it because it was easy but it looked spectacular. 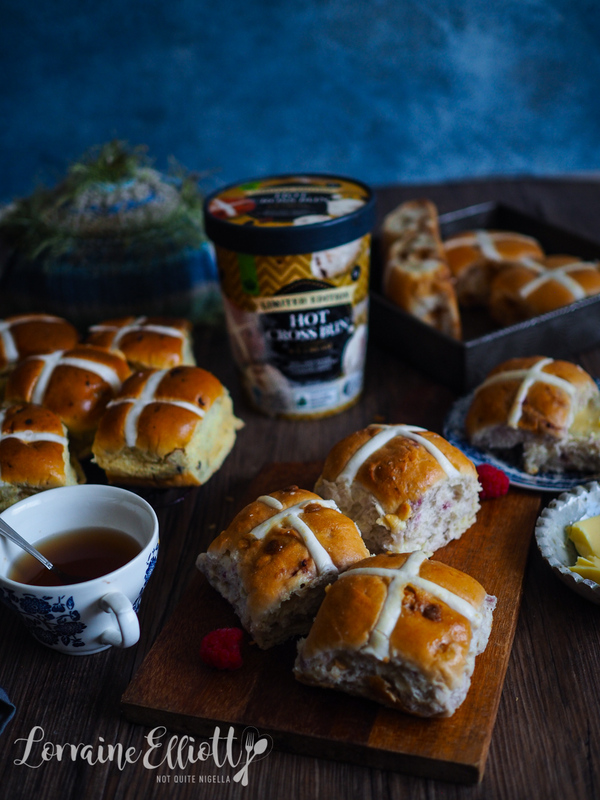 Plus I'd serve it with their hot cross bun ice cream (YES! It's a thing!). Not only is this a reasonably priced dessert I can also say with confidence that this can be made even with very little effort that is, even while you have a sporting injury. Yes that's right, I've had my very first sporting injury! "Is this what life as an athlete is like?" I asked Mr NQN. I strained or sprained my tricep doing push ups a week ago and ever since I've had to change things so that I use my left arm less. 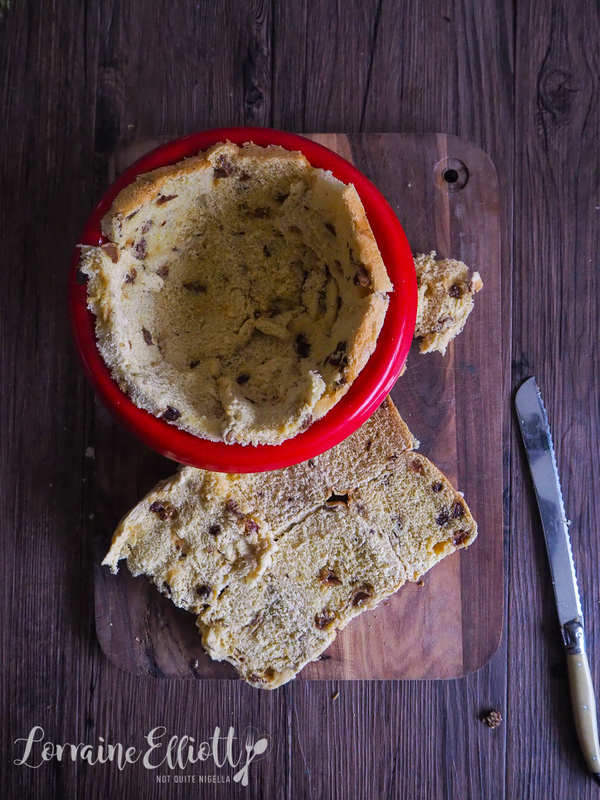 Whilst I was making this zuccotto and filming a video, the hardest thing was trying to slice up the hot cross buns. The rest can be done one handed! Promise me that you'll give this a go - if I found it easy with one hand, I can only imagine you'll think it's a breeze two hands! So tell me Dear Reader, what is your favourite Easter food? 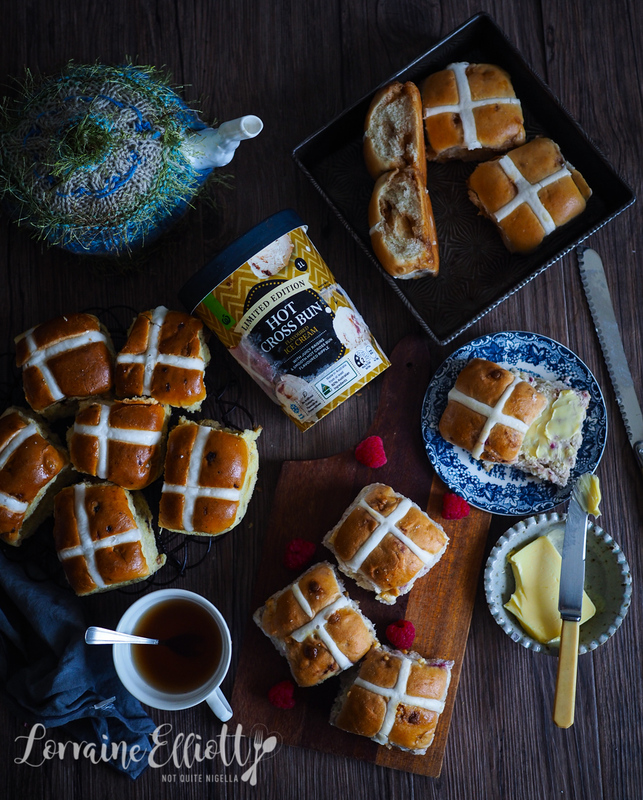 What flavour hot cross bun do you like the best? Have you ever had a sporting injury? 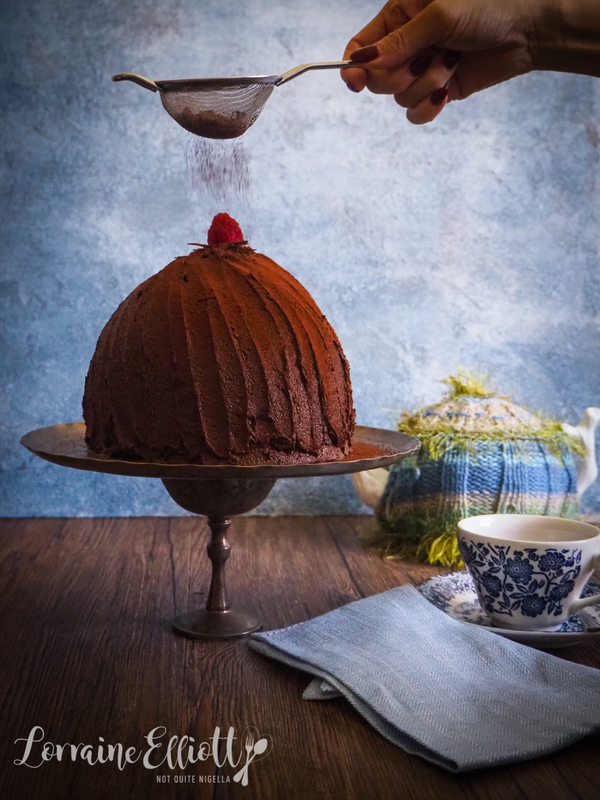 Video of how to make an Easter zuccotto! Step 1 - Take a small, round bowl or pudding basin. Line with cling film (I used oil spray). Take the hot cross buns and trim the crusts from the bottom layer. Then slice the buns across horizontally to get a thin 1cm layer of bread-you should be able to get at least three of these layers (trim off the top of the buns too). Line the bowl with some of these cutting up extra slices to fit in. Reserve some for the base. Brush with the coffee and set aside. Step 2 - Whip the cream with the icing sugar until stiff peaks form. Take out 1/3 of the cream and mix it with the dark chocolate pieces to make a chocolate chip mousse. Place in the fridge. Add the Nutella to the remaining cream and whip until just combined-do not overwhip as it will start to separate. Place this in the fridge for 30 minutes to firm up. Step 3 - Spread the Nutella mousse layer around the hot cross bun layer making it about an inch thick. Then place the choc chip layer in the centre. 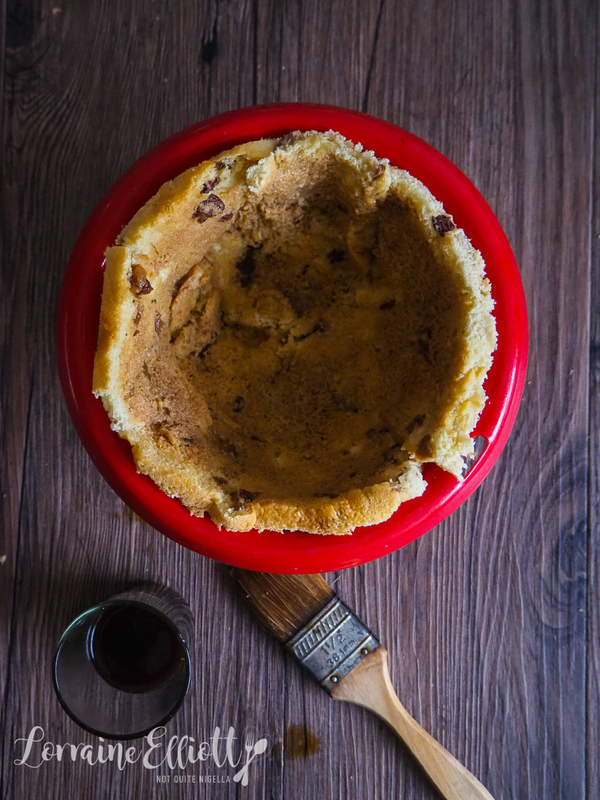 Place another thin layer of hot cross bun on the base and cover. At this stage you can either keep this in the fridge either for a few hours or overnight to set or you can freeze it. I froze mine because it was a really warm day. 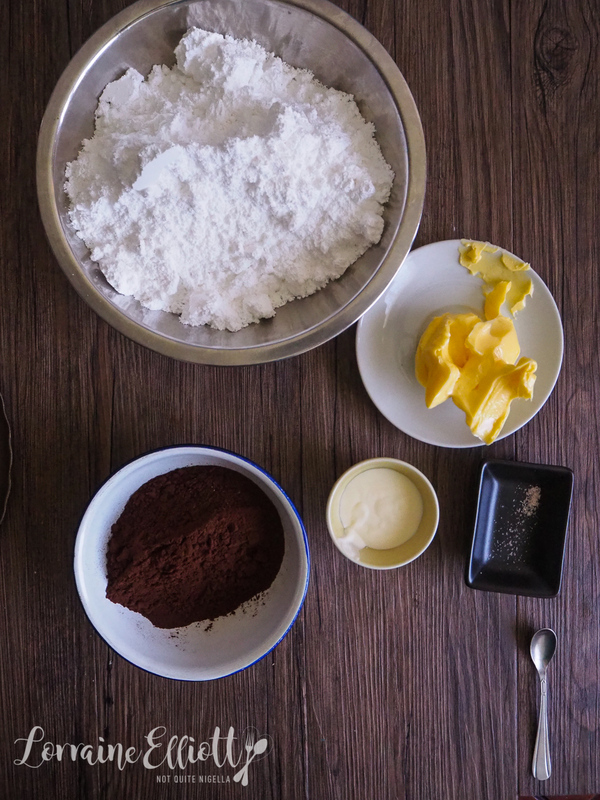 Step 4 - Make the frosting by adding the icing sugar, cocoa powder, butter, cream and salt to a mixing bowl. Then beat on low speed at first and then once the icing sugar and cocoa are combined, increase speed. Add the hot water to the icing to loosen it if the icing sugar sticks to the bowl. Step 5 - Turn out the cake onto a serving plate and spread with a crumb coat of the frosting (a thin coat of icing to catch any crumbs). If the zuccotto is frozen the crumb coat will set straight away. Otherwise you can refrigerate it or live life on the edge and apply the final thicker coat straight away. Make patterns with a palette knife and top with strawberry and chocolate shards. Finish it off by dusting with cocoa powder. recipeA Sleeping Bunny Rabbit Surprise Cake For Easter! recipeQueenie: The Luscious Four Layer Chocolate Ganache Drip Cake That Anyone Can Do! recipeAdorable Marshmallow & Popcorn Easter Lambs & The Cook With Me Project! 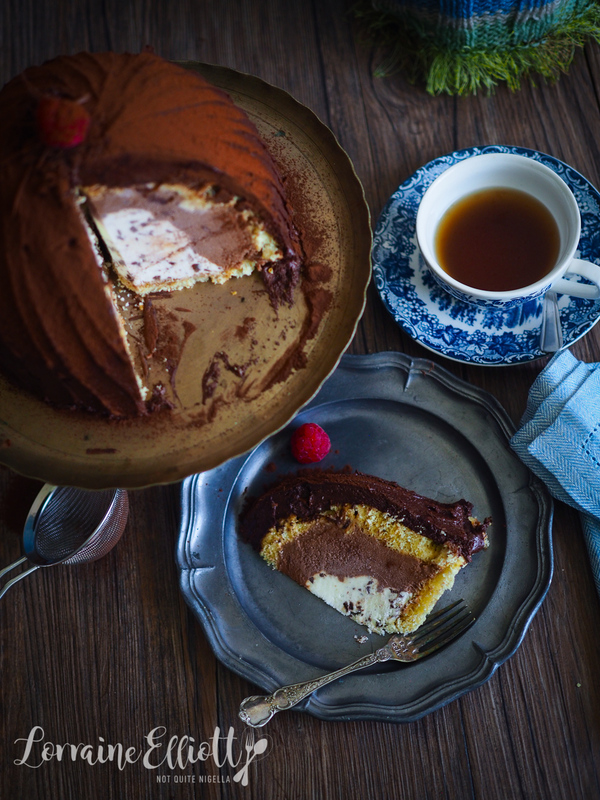 recipeEat A Giant Wagon Wheel Cake! recipe Queenie: The Luscious Four Layer Chocolate Ganache Drip Cake That Anyone Can Do! 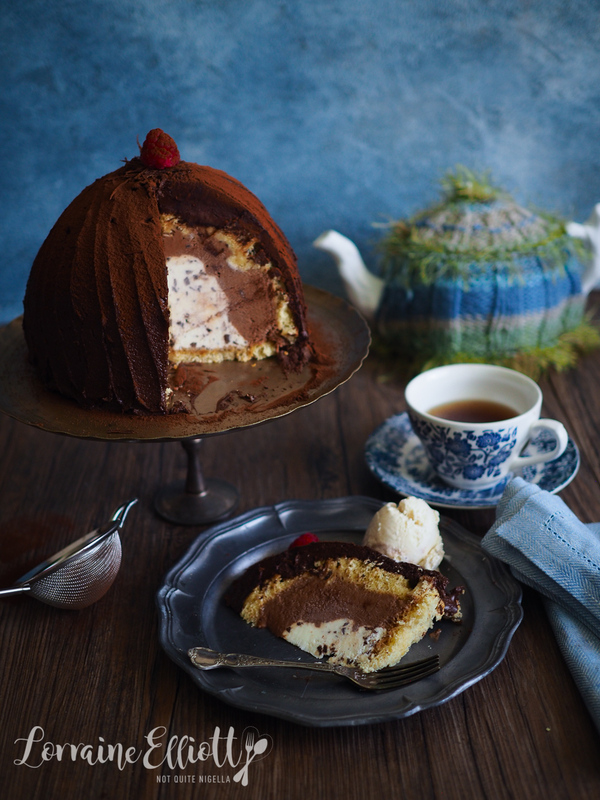 recipe Eat A Giant Wagon Wheel Cake!